It’s no different with your customers! 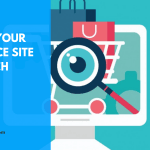 When they’re looking for a product or service in their locale, they turn to search engines to find it. 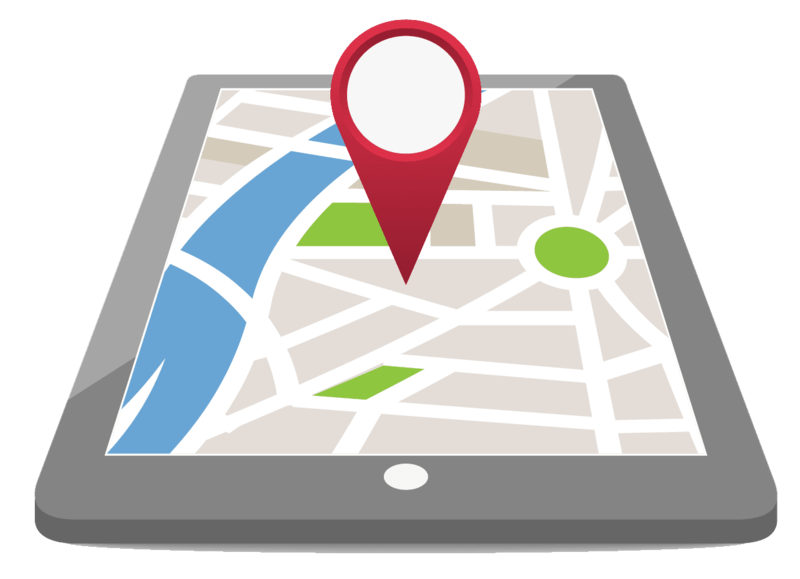 Location-based search is getting bigger, and by extension, local SEO is becoming more important. A study has found that 46 percent of all searches on Google have local intent. 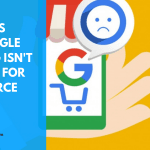 If your business is set up to target local customers and you’re not taking local SEO serious, you’re losing lots of opportunities and leaving money on the table when people search for your type of product or service. 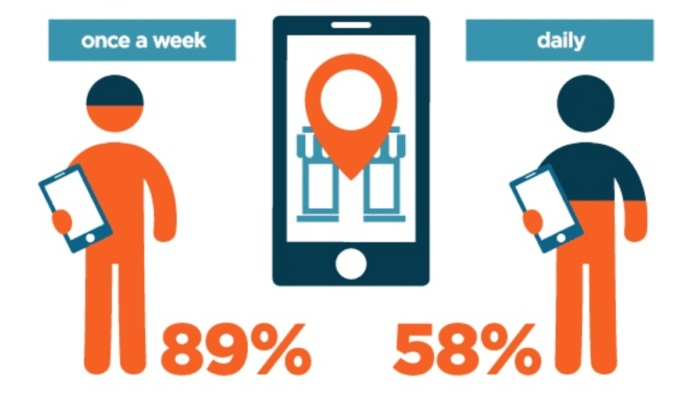 And out of that number, 72 percent will visit a store within five miles, and 50 percent will visit within a day…same with 34 percent who search on a computer or tablet. 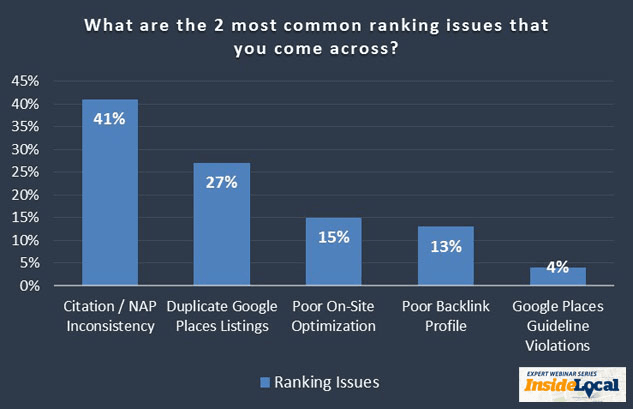 These searchers are unlikely to find you if your business is not optimized for local search. 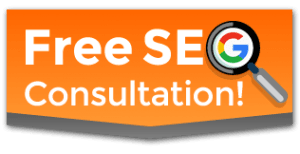 A strong local SEO strategy is key to driving more people to your business locally. 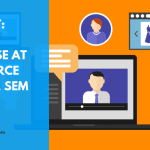 In this comprehensive guide, you’ll learn everything you need to know to optimize your business to dominate the local search for your city and industry. 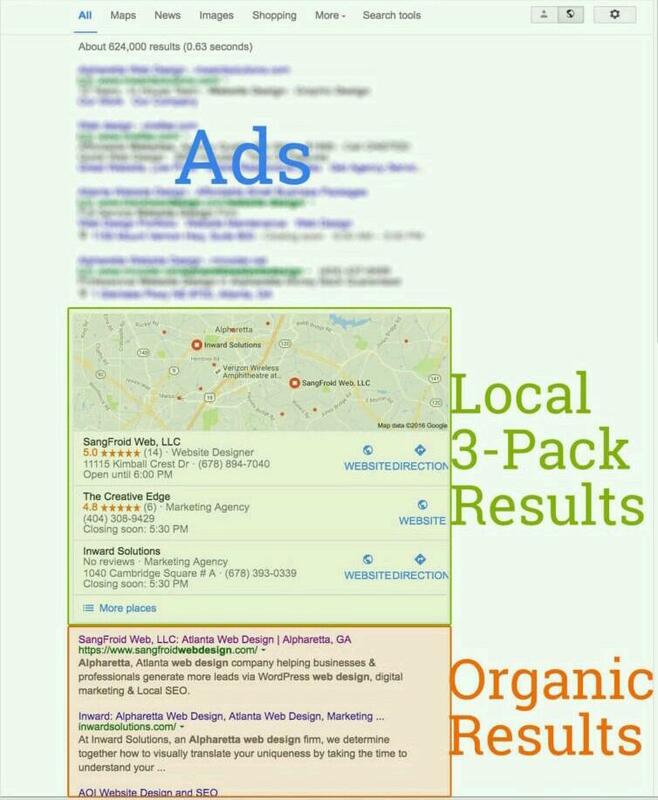 As you can see in the screenshot above, that section of a result page has a map pack with 3 listings, hence the name “Local 3-Pack.” After the pack, what follows is the usual organic-type results you’re used to. Local pack used to be 7-pack (made up of seven local listings), but it was syncopated by Google engineers to favor mobile searches. 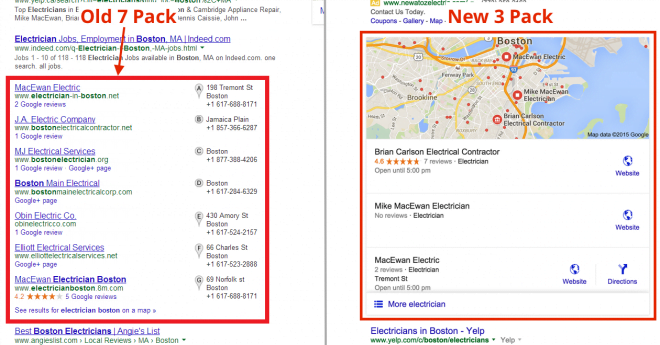 Unlike what many people think, the pack is not the only place that local SEO affects search. In fact, there are three other places where local SEO also influences search — Google Maps, Knowledge Graph, and mobile results. 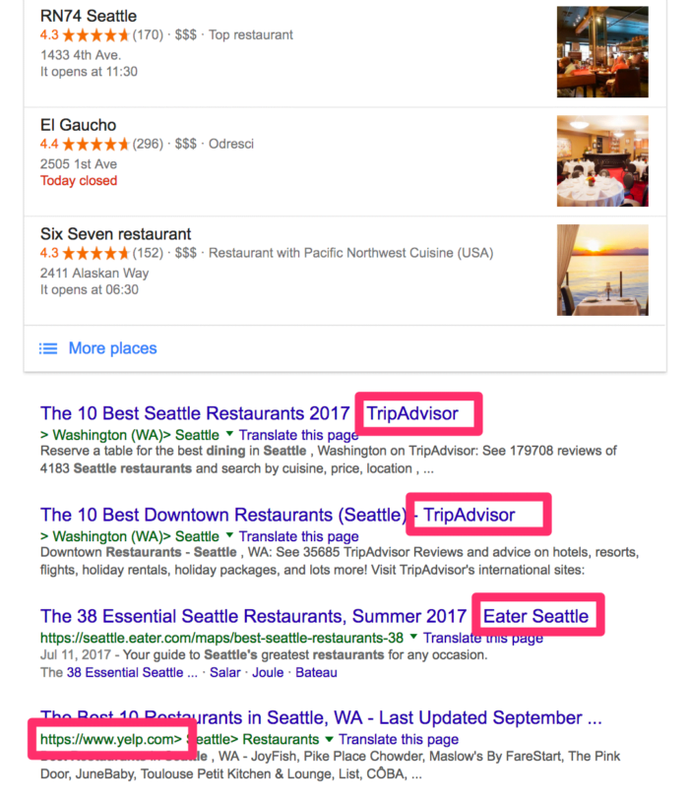 Well, for an effective local SEO strategy, you’d want your business to sit on top of all these places, including the 3-Pack. 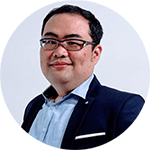 It starts with understanding Google’s ranking signals FOR local search (yes it’s different from the ranking signals for standard SEO), and then optimizing accordingly. Apparently, you’d have to optimize your Google My Business listing for maximize your chances (see below for more on Google My Business). 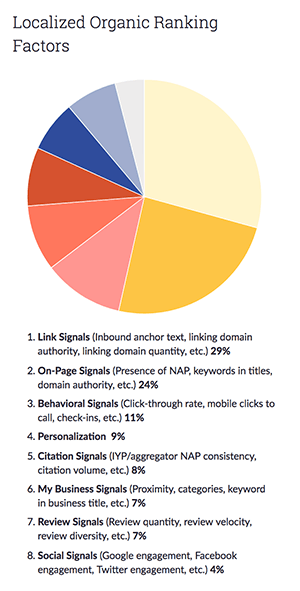 On the other hand, link signals is the most influential factor for localized organic results (the organic results refers to the section below the maps). This means local link building is an important factor in local SEO and we’ll also look at that later. 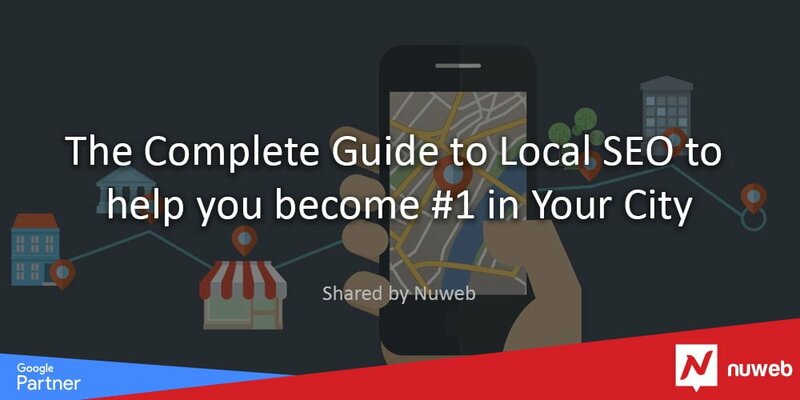 Now that you have an idea of what the ranking factors for local SEO are, it’s time to optimize your business for the local traffic. Local search is location-specific. 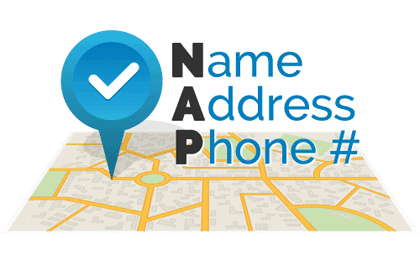 And given that about 86 percent of people look up the location of a business on Google Maps, it’s imperative to not only add a map to your website, but also ensure that your information on Google Maps is correct. 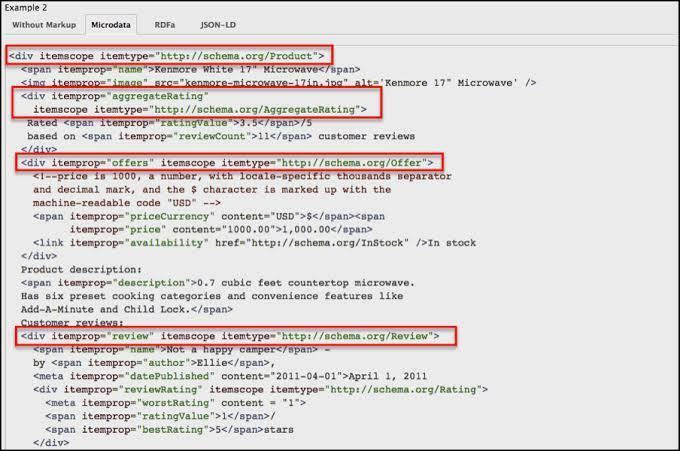 By adding the appropriate Schema markup to your website, you’ll be able to point Google to your correct NAP and also let it identify you as a small business and not some big brand. 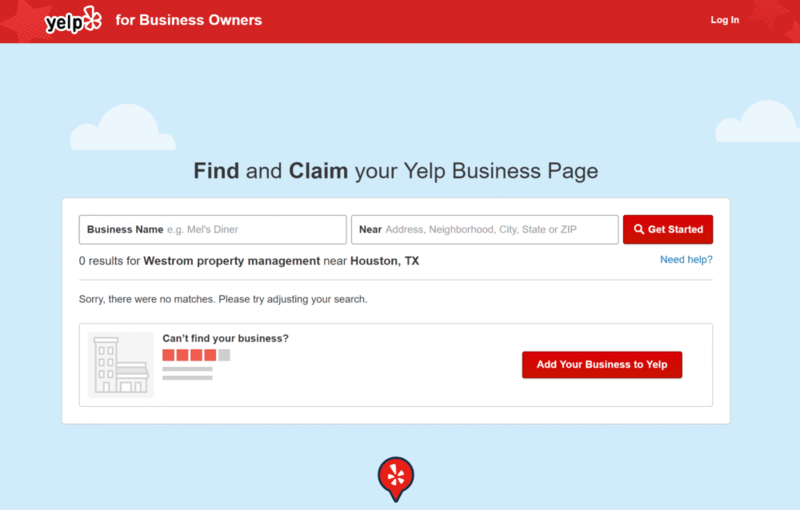 So whether or not your Google My Business profile is correctly and completely filled out can be the difference between sitting on top of local results and staying in oblivion. 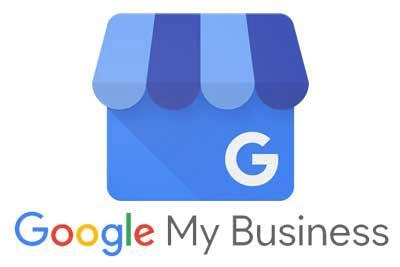 But it isn’t just Google local search that is affected by your Google My Business profile, Google Maps and Knowledge Graph will also show searchers your Google My Business if it is optimized. 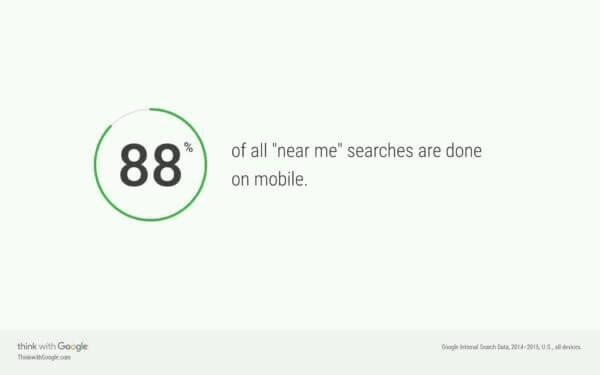 This is huge, especially when you remember that 86% of people look up the location of a business on Google Maps. Beyond claiming your Google My Business profile, you’d also want to take your place on review platforms. If you haven’t already, create a blog on your website. 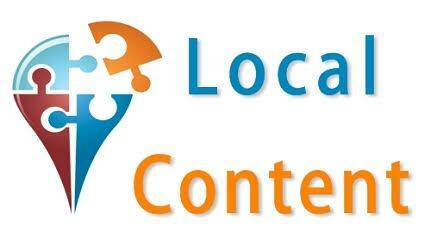 Then localize your content for maximum local search benefits. In addition to creating local content, you’d want to build links to augment the content authority. 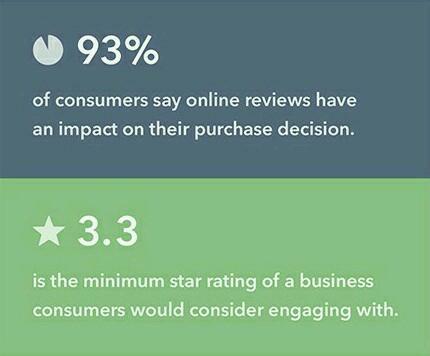 And according to a recent local consumer reviews survey, around 84 percent of buyers trust online reviews as much as friends. 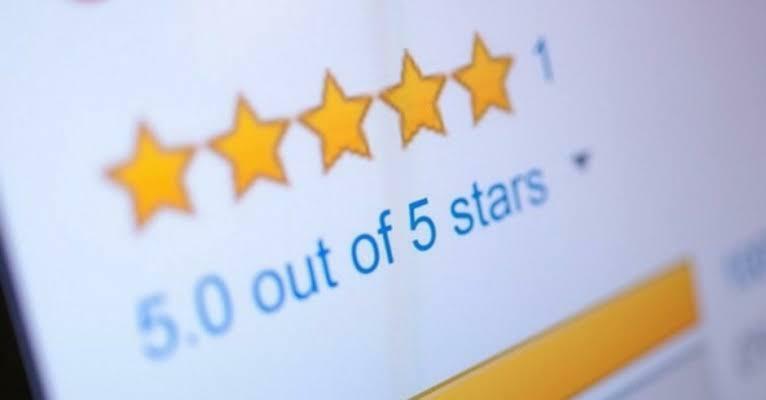 What’s more, a Harvard Business School study found that even bumping up your score by one star can boost revenue by almost 10 percent. And per local SEO, the Moz study reveals that review signals constitute about 13 percent of local pack ranking factors. If you’re not getting the hang of it yet, these numbers mean that when you improve your online reputation, you hit not one, but three birds with one stone — increased customer trust, better conversion + more revenue, and yes, higher local rankings. So if your business’ review is zero or negative, make efforts to improve it. It’s not as hard as you may think. That’s why you would want to get more citations. But how?